SAN DIEGO, CA. — Baseball great, Steve Garvey, has been named keynote speaker at the Government Fleet Expo & Conference to be held in San Diego, California. Garvey will deliver the breakfast keynote address on Tuesday June 3, 2014 beginning at 8:30 a.m. through 10:00 a.m. The Government Fleet Expo & Conference is an event where public fleet professionals from across the country network, share ideas and learn new ROI strategies. 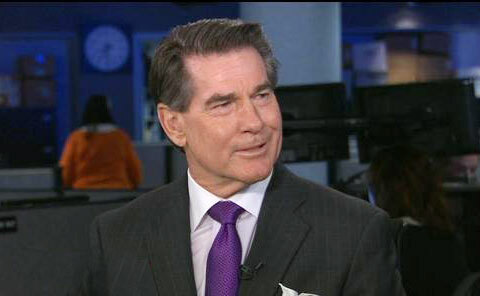 Photo shows baseball legend and motivational speaker, Steve Garvey. One of baseball’s most popular and durable players, Steve Garvey is known to even the most casual of baseball fans. A 10-time All Star and 1974 National League MVP, Garvey played for the Los Angeles Dodgers and San Diego Padres. He was nicknamed the “Iron Man” for setting the National League consecutive games record with 1,207 straight. Garvey also volunteers his time and assists in causes such as the Special Olympics, Juvenile Diabetes, The Blind Children Center, the Pediatric AIDS Foundation & the ALS Foundation. Watch video where Steve Garvey talks about visiting the Baseball Hall of Fame and what it means to him. Garvey has been a spokesman for an impressive list of corporations like Pepsi-Cola, Chevrolet, Gillette, McDonald’s, Adidas,, Nestle, TransAmerica, Anheuser-Busch, Jockey, Cardservice International, John Hancock and Team Nabisco in association with Wal-Mart. Today Steve Garvey is a popular motivational speaker. If you would like to book baseball legends or famous athletes like Steve Garvey for an event, contact Sports Speakers 360’s booking agent for Steve Garvey’s speaker & appearance fees or call 1.855.303.5450.